Stade Michel Hidalgo will host Friday’s football game between Entente SSG and Nantes, who face each other in the Coupe de France last 32. 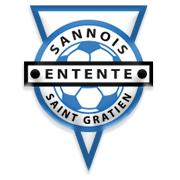 Entente SSG did well to keep a clean sheet in three of their last league fixtures, but they struggle in front of goal, so it is no surprise the National 1 side are considered underdogs in the clash against les Canaris. Nantes, on the other hand, suffered a loss in each of their previous three league games, meaning that they are eager to get back on course. Seeing that Entente SGG sit in the relegation zone in the National 1 standings, we are tempted to put our money on the visitors, who outclassed Chateauroux in their Coupe de France opener. The two sides have never met before in the French Cup, but we believe that the Ligue 1 side will make it to the last 16.